Apple will soon have an aggressive new competitor in low-priced television maker Vizio. On Jan. 3, in advance of the Consumer Electronics Show, the company is expected to announce its entrance into the mobile-device market with the introduction of an Android-running smartphone and tablet, according to multiple reports. In a television ad during the broadcast of the Rose Bowl Jan. 1, Randy Waynick, Vizio chief sales officer, said that America’s No. 1 LCD HDTV company plans to offer entertainment freedom for all. Sitting in an empty Rose Bowl stadium, Waynick is shown holding a black-framed tablet with a very Apple iPad-like appearance. 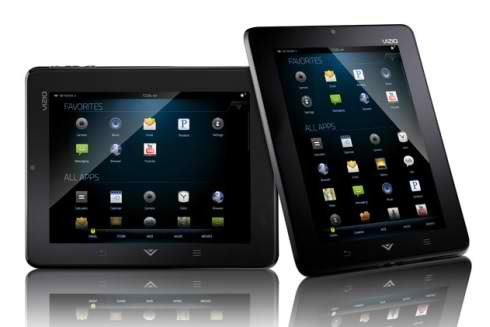 According to the Wall Street Journal, the device, called the Via Tablet, will have an 8-inch, high-resolution display; offer WiFi connectivity; and have a front-facing camera for video conferencing and three speakers. The smartphone, called the Via Phone, will have a 4-inch display, a rear-facing, 5-megapixel camera with video capabilities and a front-facing camera for video calls. Both devices will also have HDMI (High-Definition Multimedia Interface) ports, run Android and arrive this summer. The company didn’t share pricing details, wanting to save some surprises for its Jan 3 announcement, but it has made clear its intentions to be a sort of poor-man’s Apple, offering somewhat comparable devices at significantly lower prices, just as it has in the television world, battling against—and sometimes besting—electronics giant Samsung. As a company with fewer than 500 employees and shipping more LCD TVs worldwide than its competitors, Vizio, said Pund-IT analyst Charles King, qualifies as a powerful example of what can be accomplished by a small but forward-thinking vendor. According to the Journal, Vizio developed the products with a team of fewer than 10 people and specialists it hired from Nokia.